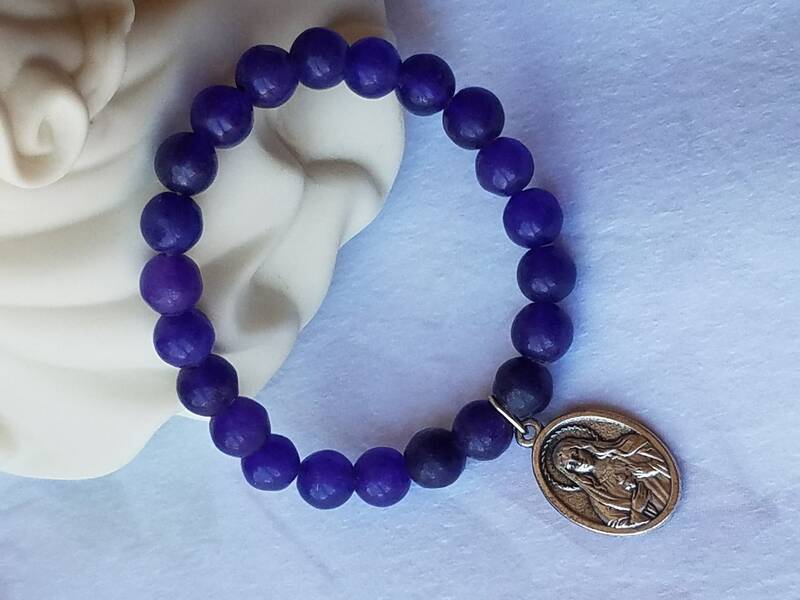 Catholic, Purple Mountain Jade Bracelet, Gemstone Bracelet, 8mm Round Beads, Elastic Stretch Bracelet, with Sacred Heart and Immaculate Heart medal, one of a kind, 7 inches bead, stretch Bracelet. 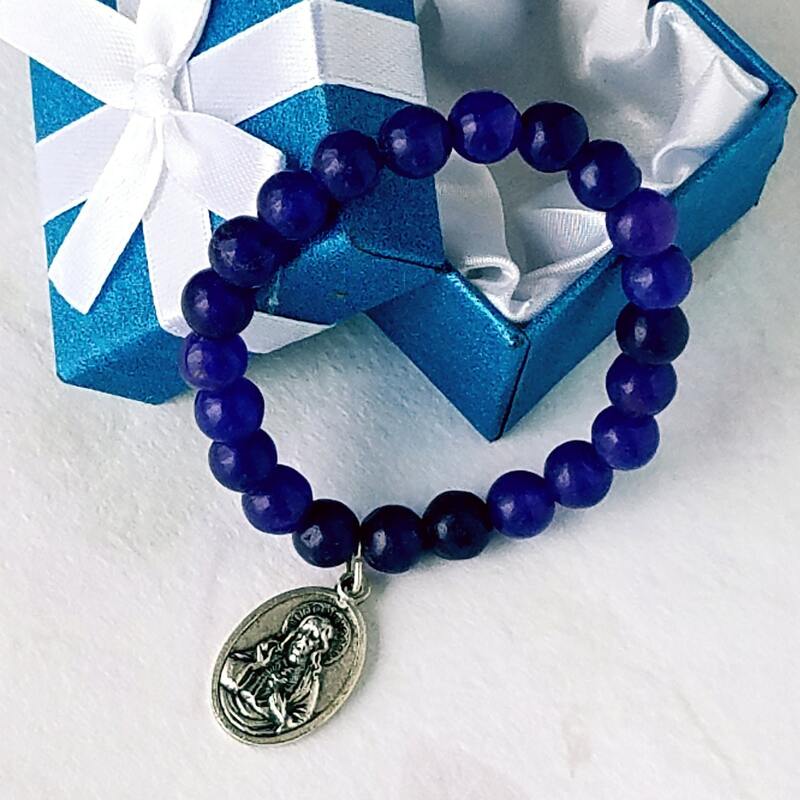 Perfect for everyday wearing and gift giving for anyone who has a devotion to the Sacred Heart and Immaculate Heart and/or loves purple. 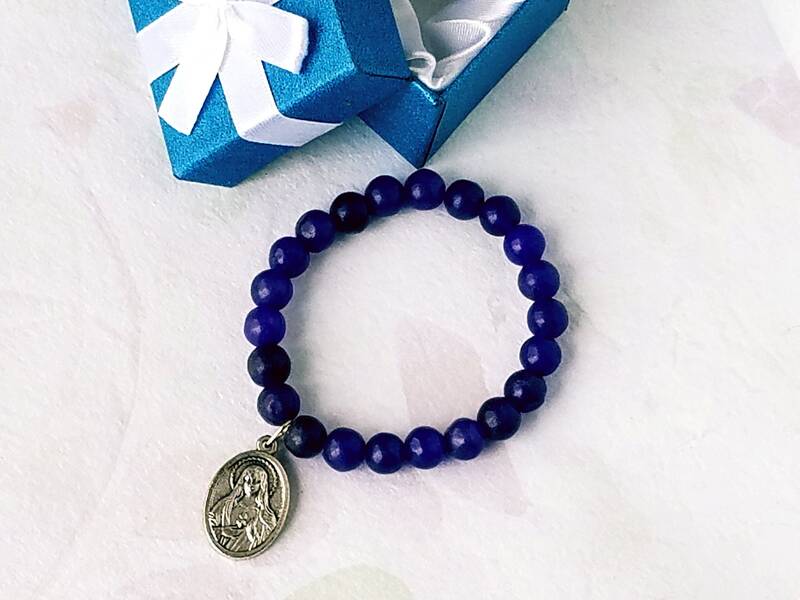 Great gift for First Communion, Baptism, Confirmation. 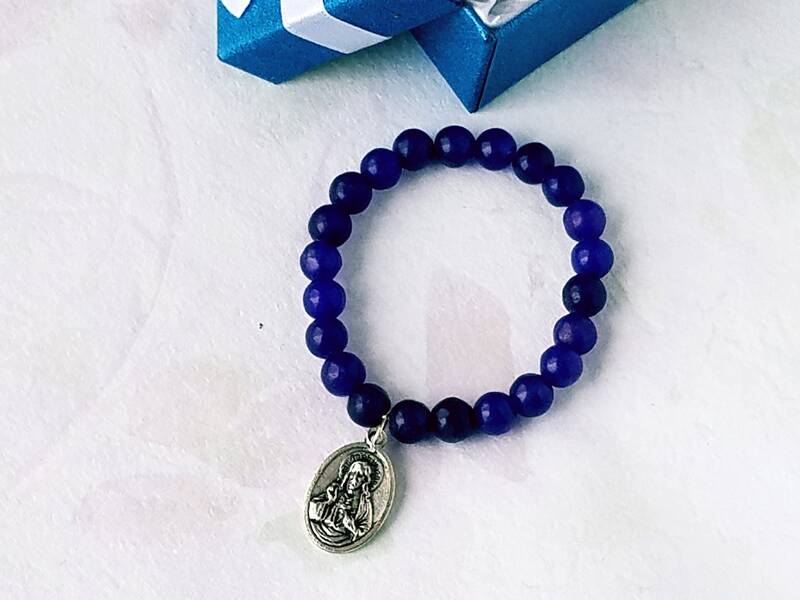 Looking for a unique religious gift. 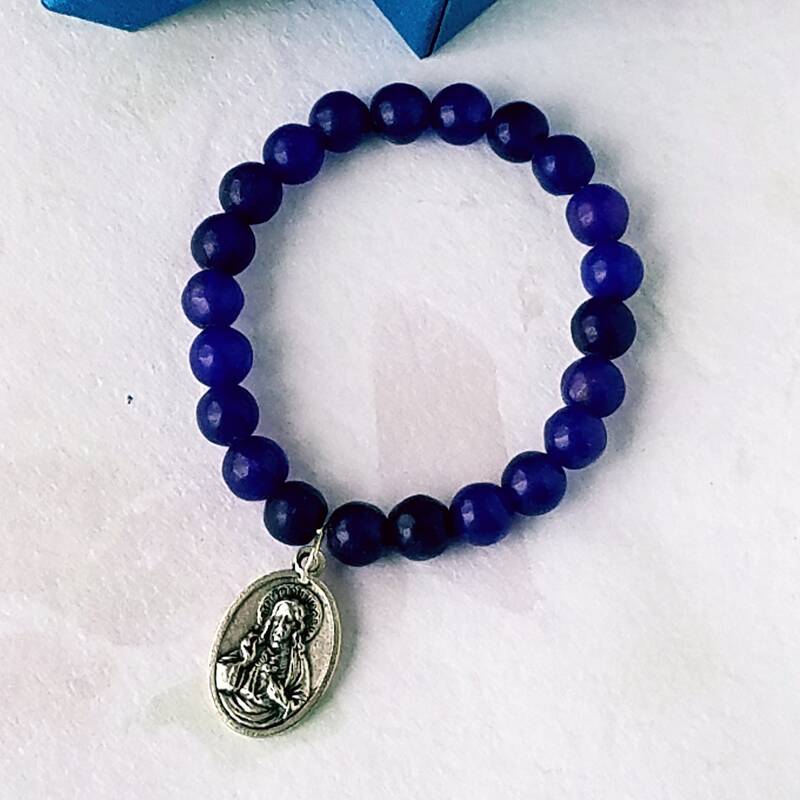 checkout our other items. 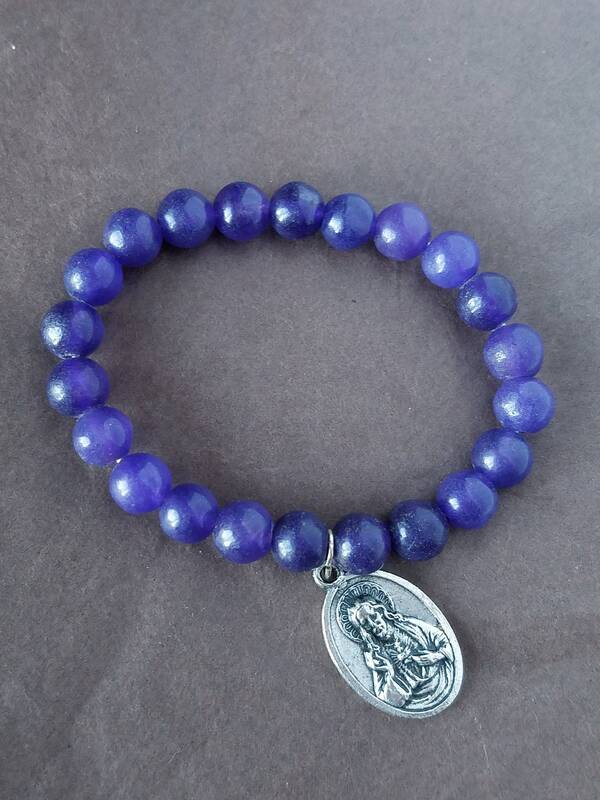 We have a wide range of handmade one of a kind items. 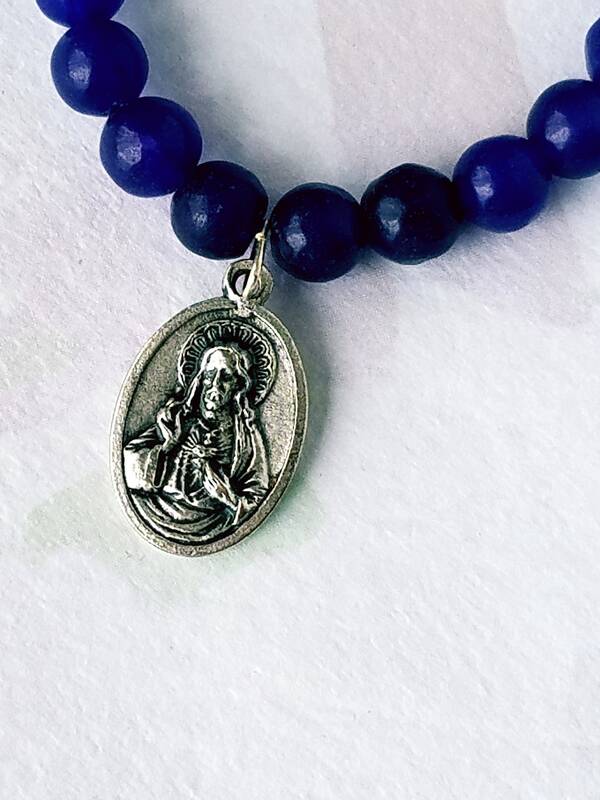 We have a wide variety of handmade Catholic gift items in our shop be sure to check them out! Thanks so much for looking!!! I accept PayPal. It is easy to use; you don't to have a PayPal account. Just click PayPal at checkout, pay securely with your credit or debit card. If you are a local buyer, let me know ahead of time and we can work out pick-up I will also adjust your total to subtract the shipping. I ship DOMESTIC FIRST CLASS SHIPPING. I will ship to your Paypal shipping address, please let me know if this is NOT the address you want your package shipped to. 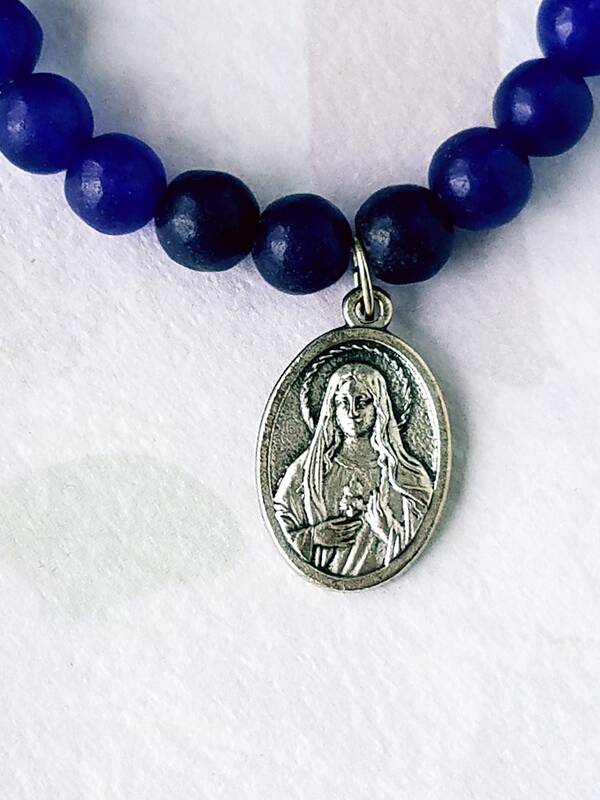 If you need expedited shipping, please message me before ordering to discuss options and prices. 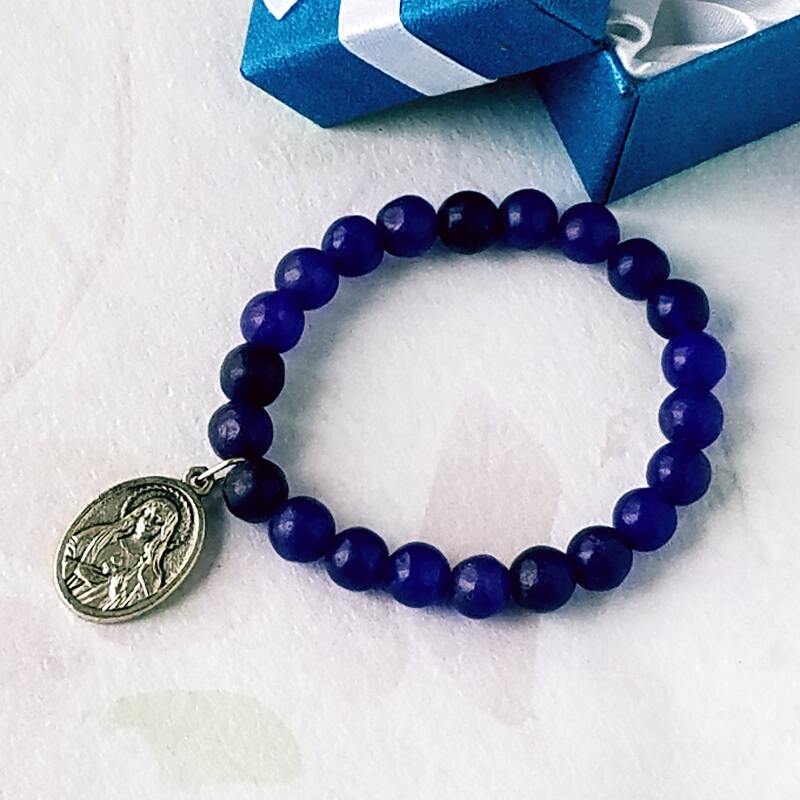 I want you to be happy and confident with your purchase. If there are any concerns once your purchase arrives, please contact me within 3 days and return the item within 7 days. Refund will be issued upon receipt of item in new unused condition. Buyer pays for shipping.